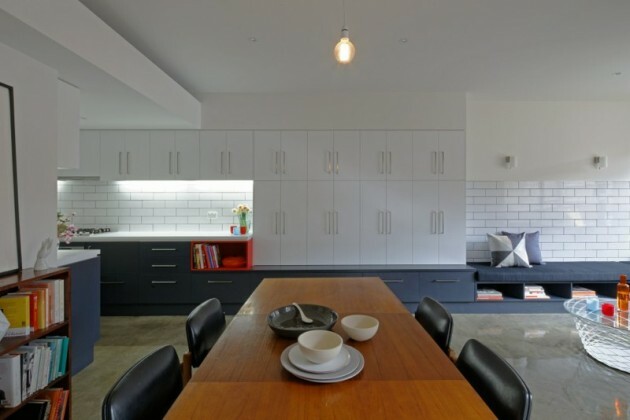 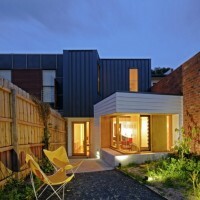 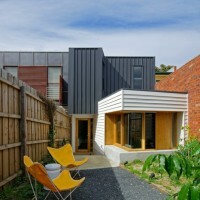 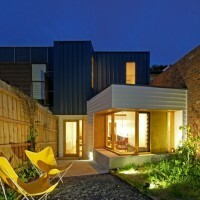 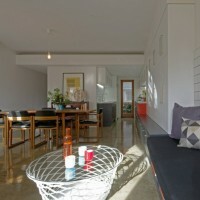 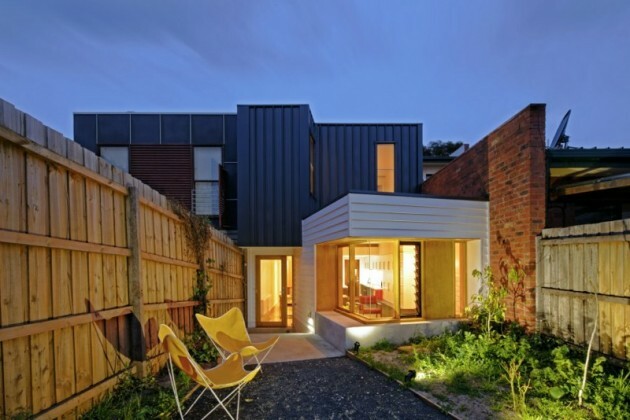 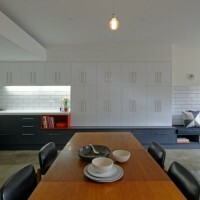 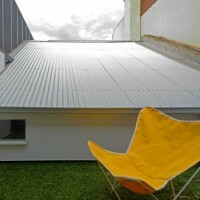 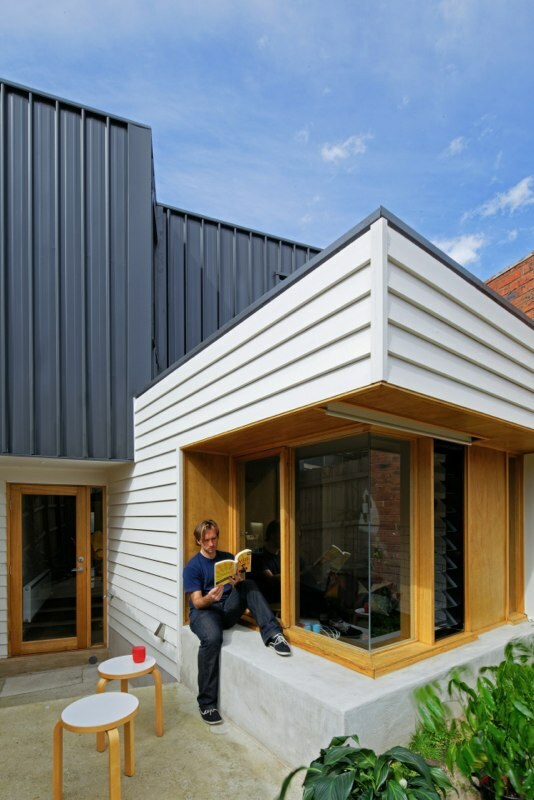 4site architecture have designed an addition to a terrace house in Melbourne, Australia. 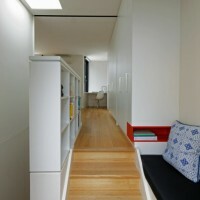 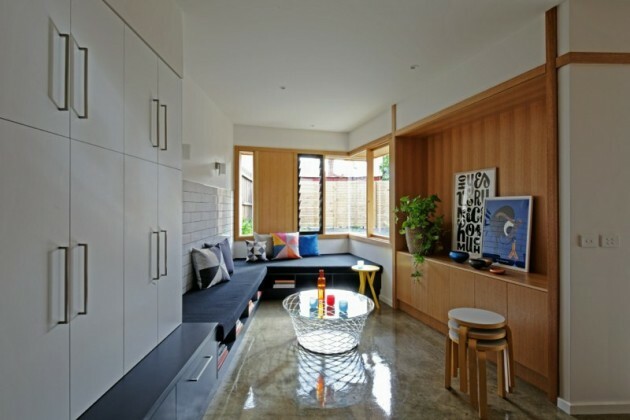 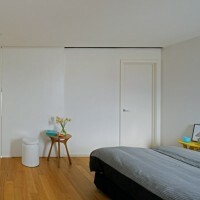 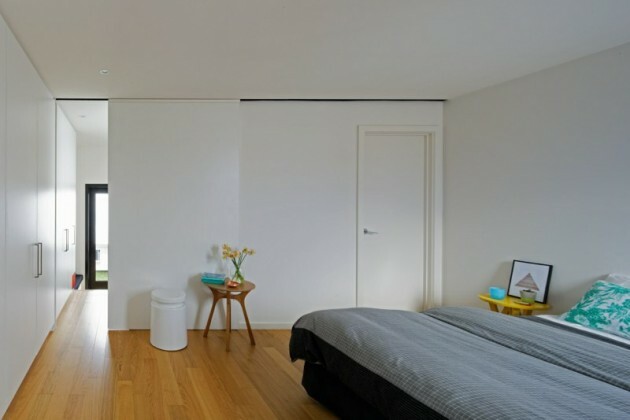 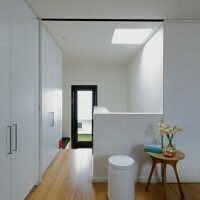 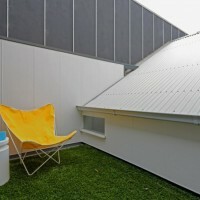 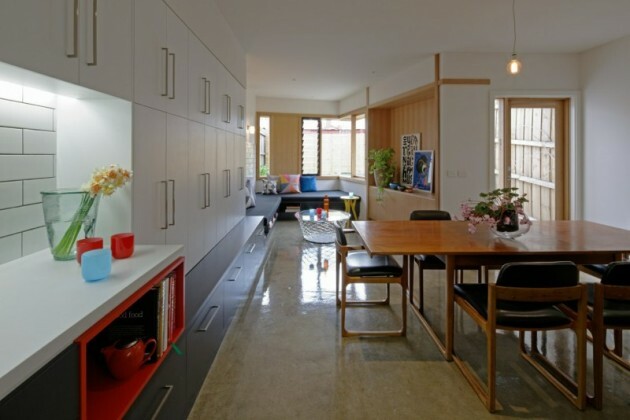 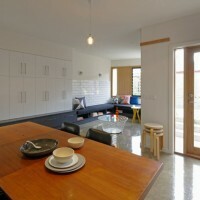 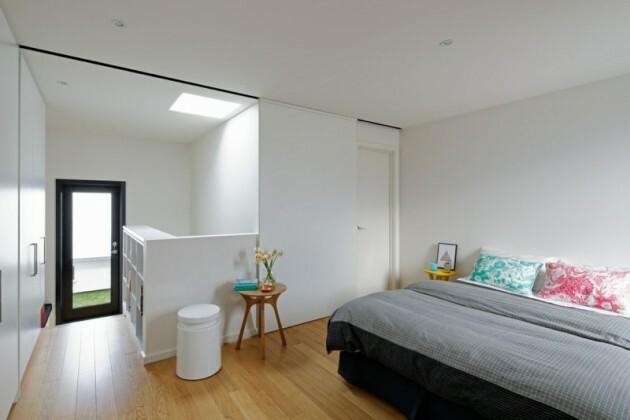 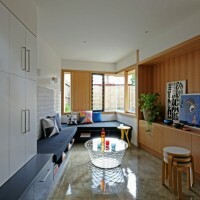 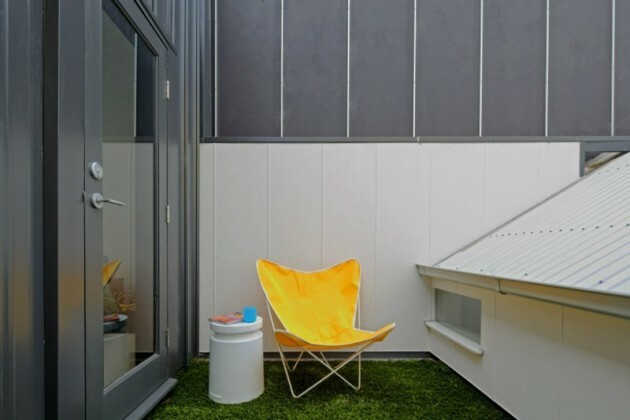 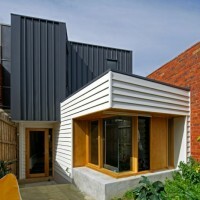 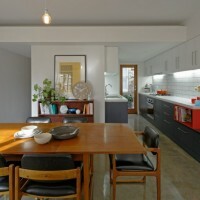 Compact alteration/addition of a terrace house in Carlton with east-west orientation and limited connection to the rear yard. 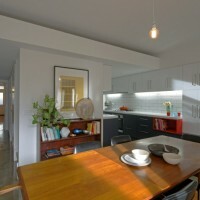 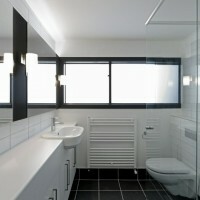 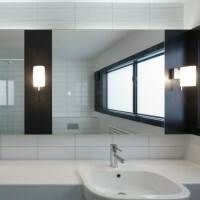 The brief called for new bathroom, laundry, living, dining, kitchen, master bedroom and ensuite. 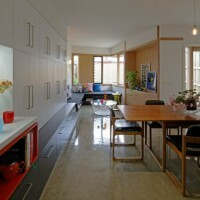 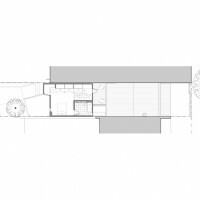 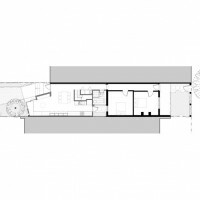 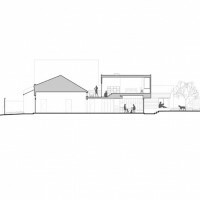 In response, the planning logic was to create a centralized service core containing or facilitating the bathroom, laundry, stairs and kitchen, allowing for the dining and living areas to wrap around this service core and juts out to form a connection to the garden at the rear. 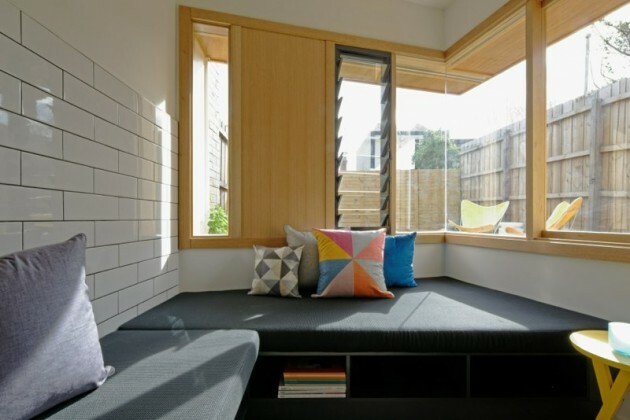 This allows for spaces to flow around in an open plan manner whilst providing a variety of spaces in this compact configuration. 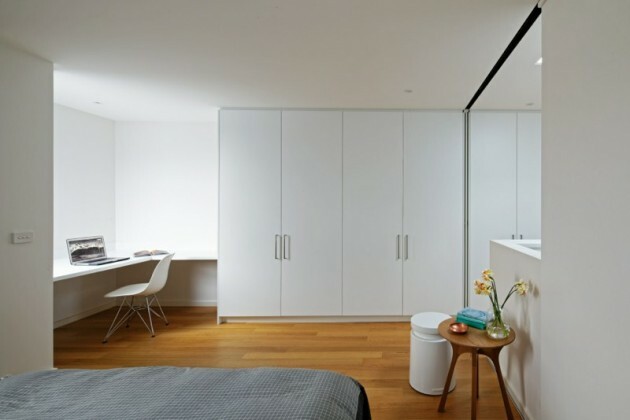 The insertion of a light court and roof deck over the new bathroom at the stair landing brings in diffused light and allows for cross ventilation. 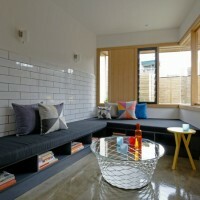 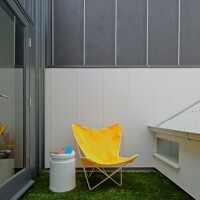 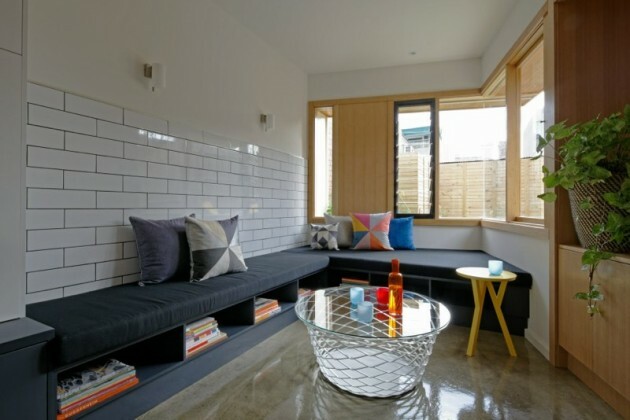 The daybed at the apex of the tapering living space also connects with the north facing concrete seating plinth outside.